Today I would like to share my experience with URBAN TOUCH with you all.There's an online shopping fever going on with me these days. Its been almost a year and a half, I have been shopping online, provided it has CASH ON DELIVERY option, except few well known sites. From the day I was pregnant, I started this online shopping for my baby(except for the clothes excluding mothercare) and me as well because going out for shopping in such weather was really tiring. Just for a trial, for the very first time, I had shopped online on firstcry.com, as it had cash on delivery option and it was a very nice experience. My stuffs got delivered within 3-4 days (I stay in WEST BENGAL) and also all my stuffs were nicely packed. And so the journey began and I started shopping more frequently and mostly for my baby. 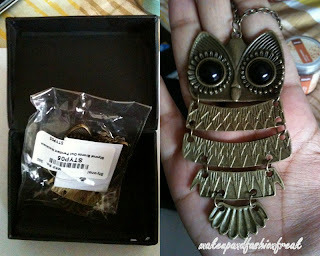 But recently I wanted this OWL PENDANT so badly that I started searching on net, where I could get this one delivered to my place and then I came across urbantouch.com. I was keeping my fingers crossed that it should have a CASH ON DELIVERY option and thank god it did have and then I happily ordered my stuff but a women can never control her mind if she sees the other tempting products and so be it. I had to shop for few more stuffs burning a small hole in my pocket though I tried my best not to shop for unwanted products, which I usually do. lol. 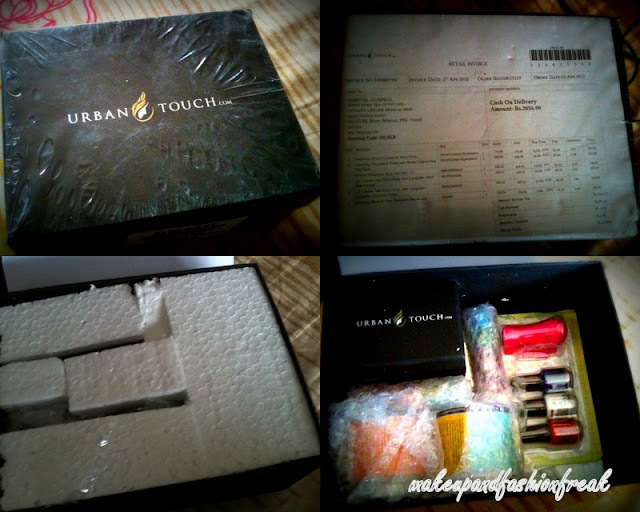 I received my parcel within a week and I was really impressed the way my stuffs were packed in a black box with urban touch written no the top. 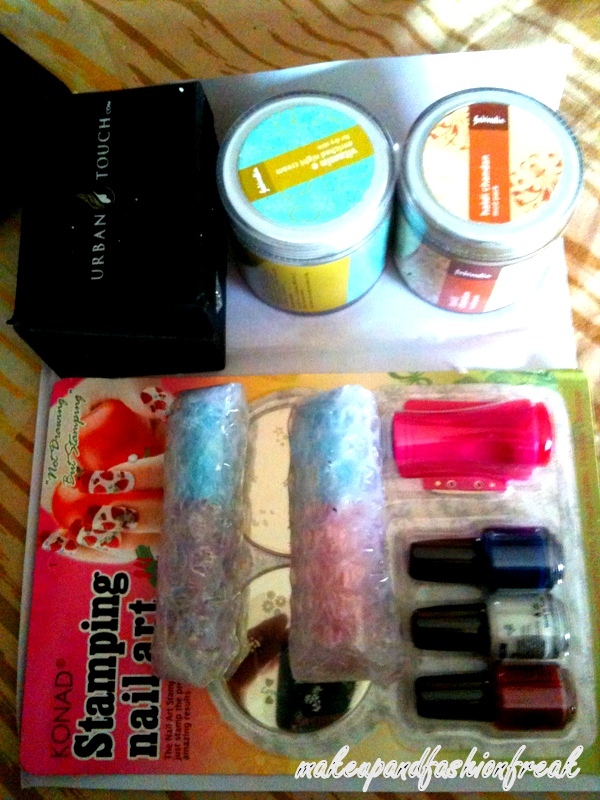 The things were well secured with thermacol sheet on top and bottom of the box.The jar and the nail polishes were wrapped in bubble plastics( whatever you call them) Also the owl pendant was in a small box. P.S. : Most of the stuffs that my baby has, I had shopped for them online, so if you mommies out there want me to review any or want me to recommend any of the product( many of them are useless buying) let me know. wow, great haul! ^_^. And lol with the whole baby shopping online. I bet you will enjoy more when u go in the mall to do baby clothes shopping! Baby clothes r so tiny and cute that it makes me go aww! lol. Where have you been or was I missing your posts? Nooooo you got our hands on Nal Stamping tool. Nal arts please!! Regarding your comment: I know there are a lot of blogger swho have a lot to suggest.. but I am so happy with oriflame foundation that I would lov to try more foundations.. probably a good one that mkes m feel wow. You know what? I might give a shot to Chanel Lumiere foundation. 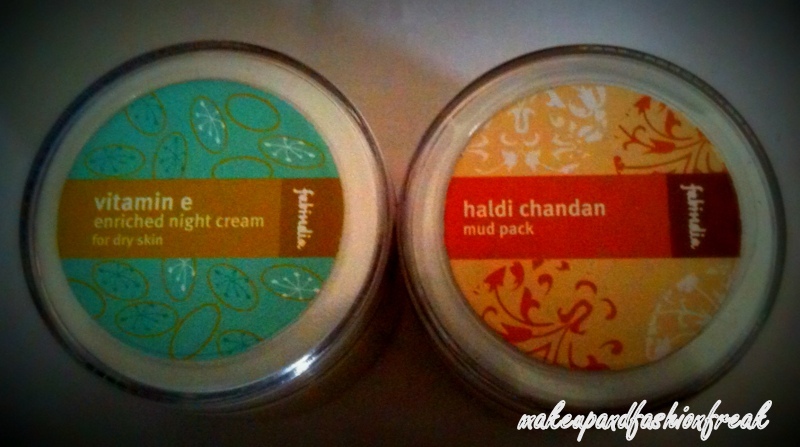 i have heard a lot and it's th HG product for a lot of make-up lovers. a littl expensive. But that would work if soemthing is so good. the other I tried it at a mall and it was relly amazing. my boring story. P.S. thanks for dropping by at Shopping, Style and Us and your comment. <3. nice haul...even I am planning to buy that konad stamping nail art...loved that owl pendant. 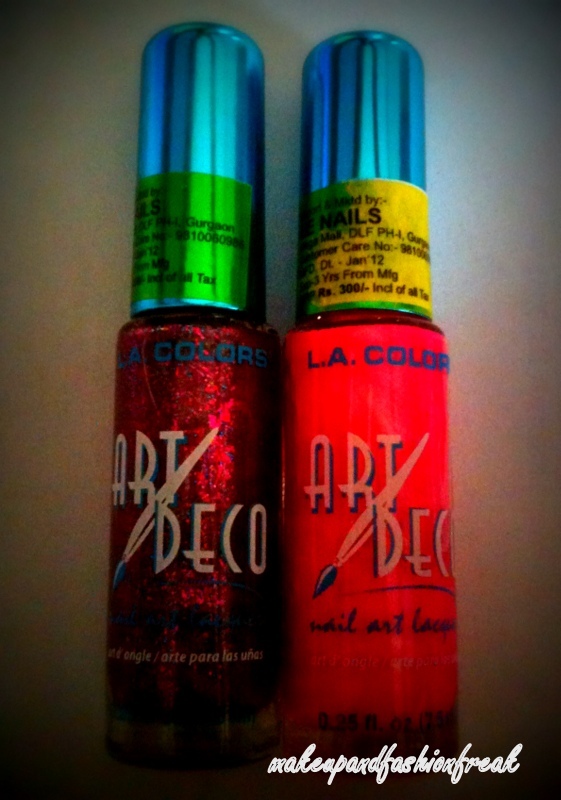 I have bought a plenty of times from urbantouch. Must say they have an awesome service. 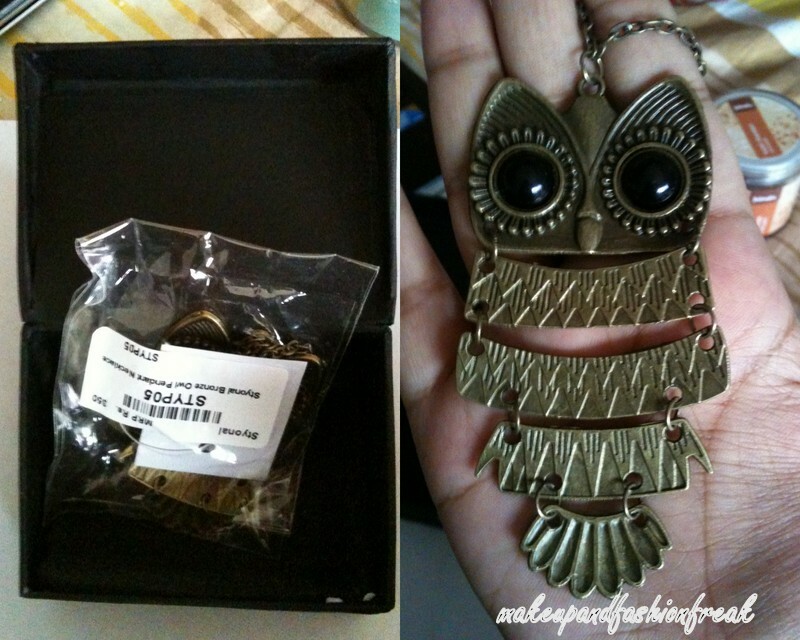 Really like the mud cream and that owl pendant. 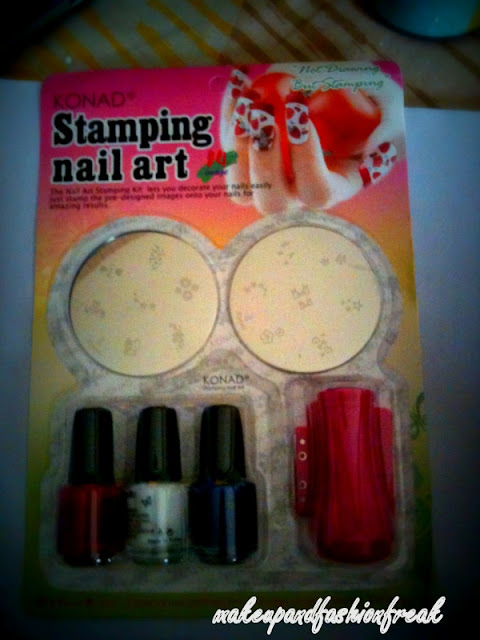 I wonder if the nail stickers work well. Thanks for introducing me to this site. Glad to see you back <3 Great picks!!! !